There's nothing like spring cleaning to get you thinking about fresh air and creating a clean and more healthful environment at home. 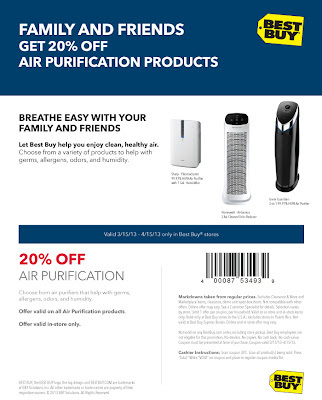 As you vacuum and dust around your house, one of the things to consider while you are sprucing up your home for spring is purchasing one or more air purification systems, if you don't have one already. After all who doesn't like a little (or a lot) clean air? These practical air purification devices are designed to remove contaminants from indoor air like dust, pollens, allergens, molds, smoke and more, often benefiting the health of adults and kids with allergies, asthma and various respiratory conditions. 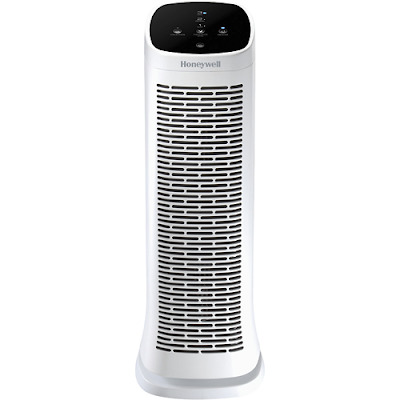 There are also air purifiers that are built to reduce or eliminate odors and germs as well as humidifiers and dehumidifers to add or remove moisture in the air inside your house. Depending upon the air improvement challenges you face, your decorating style and the size of the space you want to purify, there are a wide variety of air purifying options on the market to choose from. Luckily in this product category there are companies like Best Buy which offers a comprehensive selection of almost 150 systems by major brands ranging in price from under $50 to up to $999.99. These are names that you'll recognize like Sharp, Honeywell, Hamilton Beach and others, including 64 models that currently are ENERGY STAR Certified. Shopping online at Best Buy is easy and with the Low Price Guarantee they offer you will get the best price possible. Just select the air purifier you want from the comfort of your home and with the click of a button your equipment will be on its way, shipped direct to your front door. 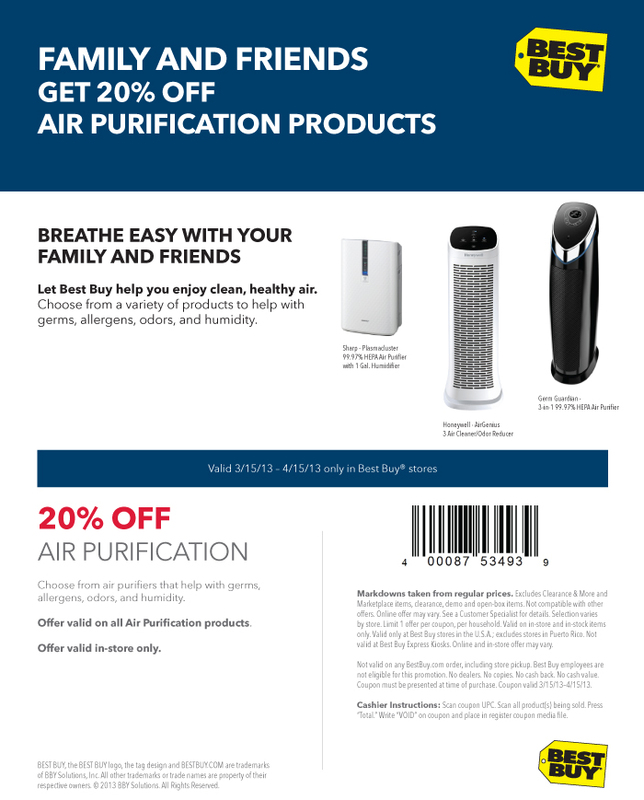 The best part is that Best Buy has given me a coupon to share with you so you'll get 20% off when ordering air purification products this spring. Hurry. This offer is good through April 15, 2013. 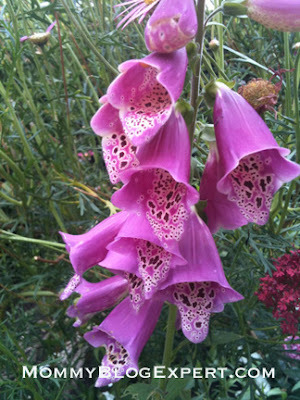 There are a wide variety of air purifying options on the market to choose from.